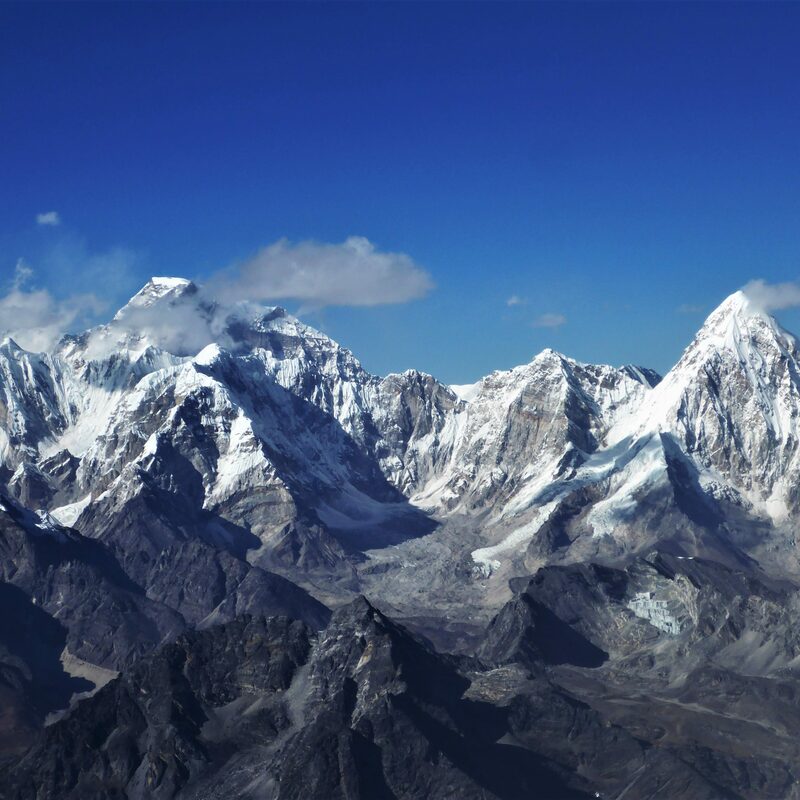 Ama Dablam has long been considered a mountaineer’s mountain. From whichever perspective it is viewed, its serrated knife-sharp ridges, steep overhanging faces and towering ice-cliffs create a formidable impression of impregnability. But as a wise man once said “where there’s a will there’s a way” and so on Ama Dablam, the south-west ridge provides fit trekkers with moderate alpine experience a way to its iconic summit. The secret behind the magic is that today the route has been made as safe as can realistically be by the formation of a specialist rope fixing team of experienced Sherpa climbers whose sole task it is to create a new route to the summit at the beginning of every season. The days of trusting worn-out tat are over. Equally the route’s number one hazard – an enormous overhanging ice-wall called the Dablam – has had its most threatening section crumble away from above the route. Icefall is still a problem but dramatically less so than in recent years. But please don’t underestimate the enormity of the climb. Experienced alpinists compare the actual climb above camp 1 as being the equivalent to that other uber iconic mountain, the Matterhorn of Switzerland. Technically they are correct but the technicalities of Ama Dablam start at 5700 metres – a full kilometre higher than its puny cousin in the Alps. And it is the altitude and its corresponding bitter temperatures which contribute mostly to the mountain’s exact 50/50 success rate. To our mind, the best strategy for acclimatisation lays in adapting to the altitude away from the mountain. A gentle trek further into the spectacular Khumbu Valley to visit the basecamp of Mount Everest, a foray into the Khumbu icefall and day walks to the summits of surrounding 5000-metre peaks provide an ideal alternative to the age-old strategy of moving directly to basecamp and making repeated sorties to camp 1. With the aid of our experienced guides and Sherpa team a more direct “alpine-style” ascent of the mountain can be made, where over one continuous summit push, a night is spent at the spectacularly situated camps one and two. 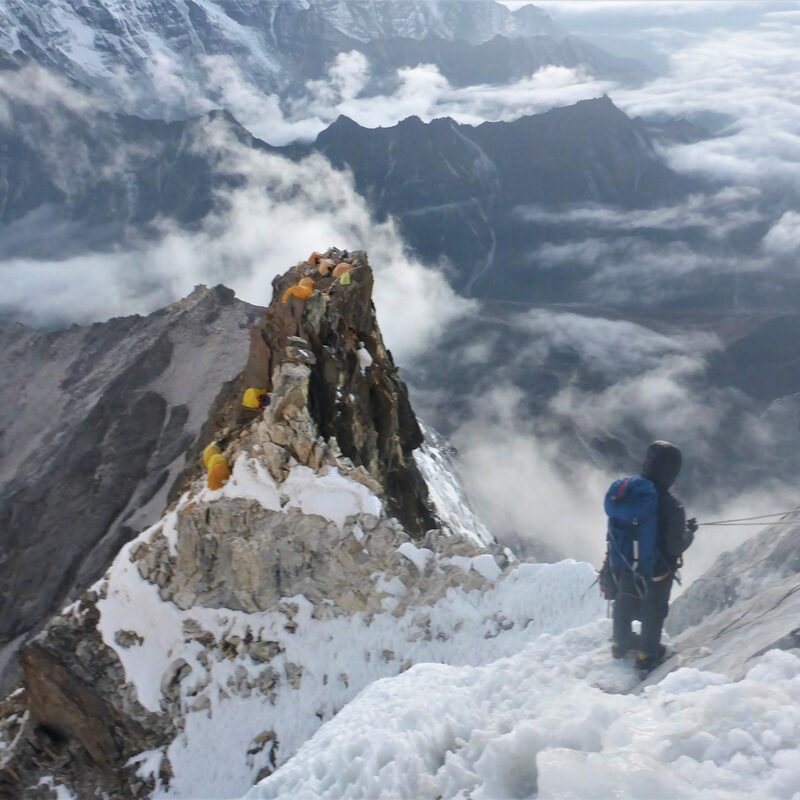 The final summit day is like no other 6000-metre mountain in Nepal. The relentlessly steep terrain varies from vertical rock-walls to narrow corniced ridges to the final heavily fluted headwall of the summit pyramid. Safely clipped into the fixed line, steady progress is made into a spectacular sunrise and beyond, to the striking summit of this mountain. The 360 views over the vastness of the Himalaya, the surrounding 8000-metre titans and the valleys and glaciers falling thousands of meters below you are utterly life enhancing. There really is nothing like an ascent of Ama Dablam.